Happy Monday and welcome to our weekly #ARCstravaganza! I am so excited about today’s featured book, which isn’t just one of my most anticipated books of this year, but of many, MANY years. 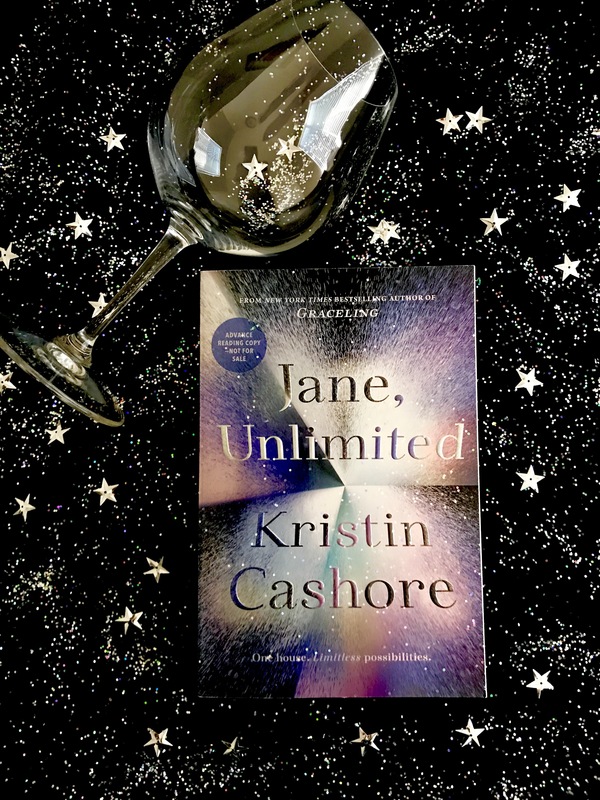 Because Kristin Cashore FINALLY has a new novel coming out! And I couldn’t be more thrilled to have the opportunity to read a review copy of this beauty! If you would like to participate in the #ARCstravaganza and enter to win an ARC of an upcoming YA release, please follow the instructions below and feel free to use our #ARCstravaganza graphic and info below in your own posts. #ARCstravaganza is a weekly meme hosted by YA and Wine to give book bloggers/bookstagrammers a chance to show off the ARCs/eARCs that they are most excited about! Comment on their weekly posts with a link to your own #ARCstravaganza blog post, or post a picture on Instagram using the #ARCstravaganza hashtag, and you will be entered to win an ARC copy of an upcoming YA novel! One winner will be chosen at random each month. Alright it’s your turn! Show us those ARCs/eARCs you’ve received that you are most excited about! Feel free to take pics to share on your blog posts/bookstagrams, do a book feature, or get creative! I can’t wait to see what you all come up with! WHAT I LOST Blog Tour and Giveaway! Eek! Great post; I’m so excited about this one! Thank you!!! I am so excited to actually get to read it, I can’t wait! I adore Kristin Cashore’s books, and this is giving me definite Caraval vibes from the description. I need help from you obviously…I would love a copy of this ARC! It sounds fantastic! Oh, you’ll get all the help you need at BookCon! I got this one at YALLWEST, so I’m sure they’ll have it there. Just make sure you prioritize those ARC drops! Right?! I was DYING when I was able to get a copy at YALLWEST. Totally worth the wait in line. Graceling is one of my favorites! So excited for this! SAME! I adore those books, and I’m so excited to see what she does with this one! I don’t know if it’s just me, but I always get confused by the summary on this book. I literally can’t figure out what is even going to happen in this book. But I mean, the cover is shiny. XD And your picture is glorious. But I’m still confused. I’ll wait for the review to unconfuse me. Wonderful choice this week!! Hahaha. It is hard to tell what this one is about exactly. I am getting some Caraval type vibes, but we shall see! And thank you so much! I don’t think I’ll be reading it until July, but it is KILLING me to leave it sitting there all shiny and untouched on my shelf! You can link to whatever you want! I’m just so happy you’re participating! Hahaha! That is what everyone is saying. It is super vague in the description. It seems almost like a Caraval kind of thing to me, but I really have no idea! But it’s lovely! And it’s KRISTIN CASHORE!!! I also don’t really know what to expect from this novel but it definitely piqued my interest. I never heard of this author before either. What a nice picture too! I’m eagerly waiting for your review! I kept hoping Cashore would write a new book after silence for so many years! I’m also thrilled to see it’s an NA book. We need more of those in our life! Same here! I love NA books lately, so I’m super excited about that too. I’m a little vague still on what this is about exactly, but excited to find out! Yeah, the summary seems a bit convoluted, but I have faith in Cashore, after all we haven’t heard from her in quite some time. I could not agree more. Cashore is such a brilliant writer. I cannot wait to actually get around to reading it! Graceling is still one of my favorites. I LOVE the Graceling series! A re-read would be so much fun!